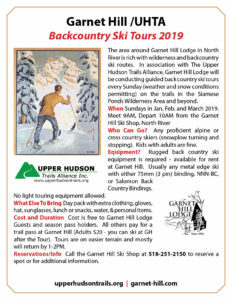 Guided Ski Tours Every Sun – Garnet Hill! Who Can Go? Any proficient alpine or cross country skiers (snowplow turning and stopping). Kids with adults are fine. Equipment? 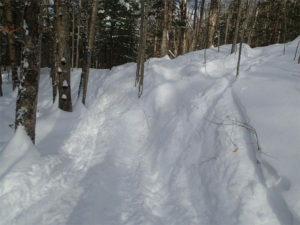 Rugged backcountry ski equipment is required – available for rent at Garnet Hill. Usually any metal edge ski with either 75mm (3 pins) binding, NNN-BC, or Salomon Back Country Bindings. No light touring equipment allowed. What Else To Bring a Day pack with extra clothing, gloves, hat, sunglasses, lunch or snacks, water, & personal items. Cost and Duration Cost is free to Garnet Hill Lodge Guests and season pass holders. All others pay for a trail pass at Garnet Hill (Adults $20 – you can ski at GH after the Tour). 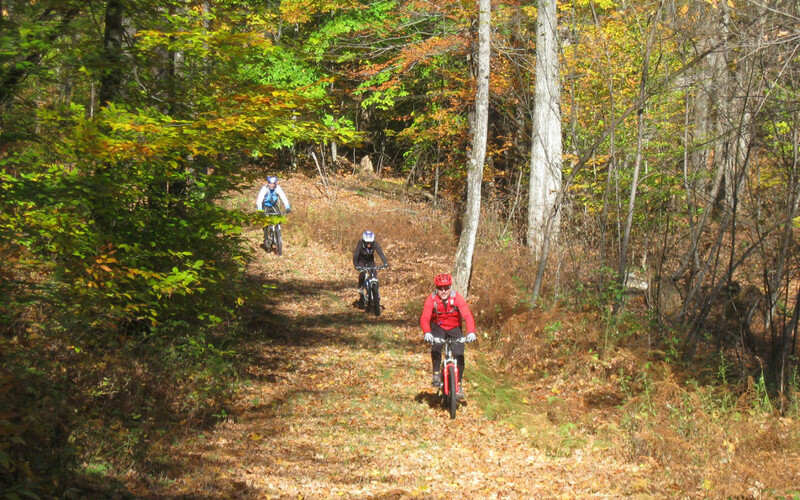 Tours are on easier terrain and mostly will return by 1-2PM. 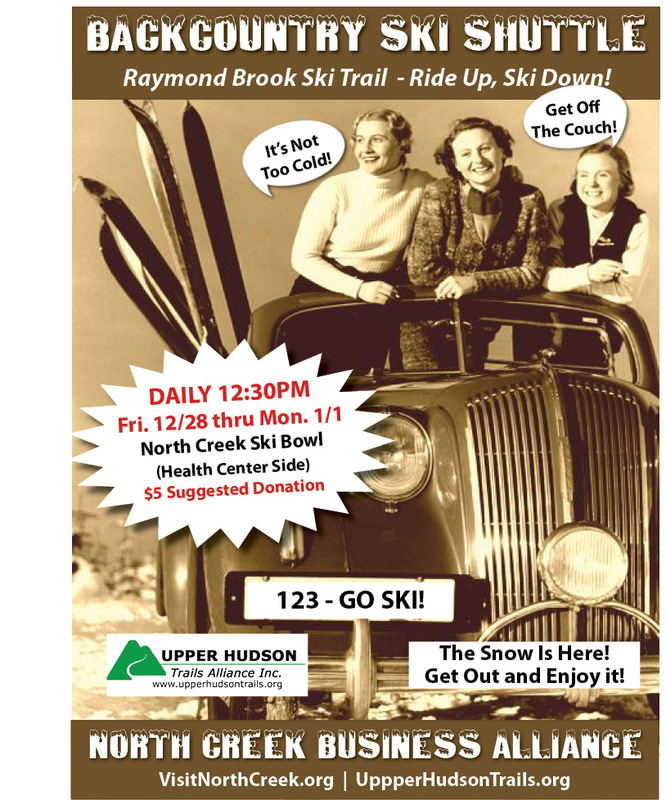 Reservations/Info Call the Garnet Hill Ski Shop at 518-251-2150 to reserve a spot or for additional information. 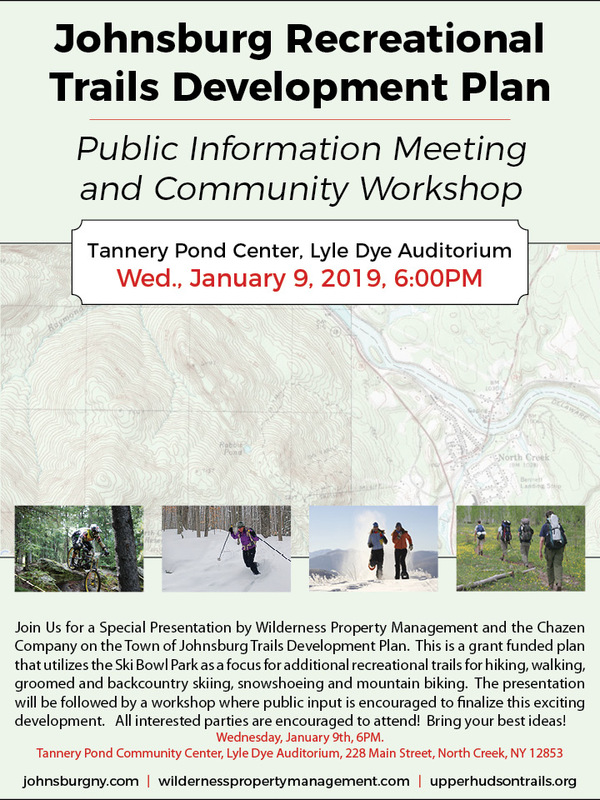 Join Us for a Special Presentation by Wilderness Property Management and the Chazen Company on the Town of Johnsburg Trails Development Plan. 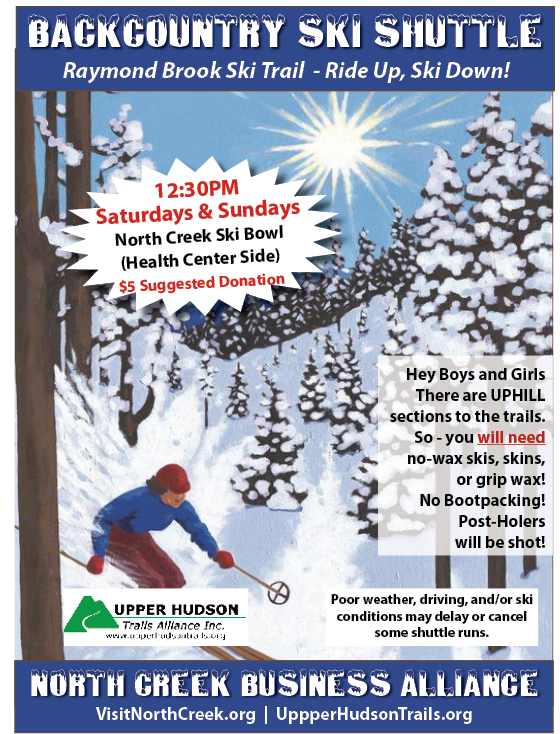 This is a grant-funded plan that utilizes the Ski Bowl Park as a focus for additional recreational trails for hiking, walking, groomed and backcountry skiing, snowshoeing and mountain biking. The presentation will be followed by a workshop where public input is encouraged to finalize this exciting development. All interested parties are encouraged to attend! Bring your best ideas! Backcountry Ski Shuttle is on for the Weekend – Sat/Sun, Feb 10 & 11, 2018, 12:30p ($5 donation)! Update – The Raymond Brook ski trail has been illegally snowmobiled. The route is still VERY skiable, but there are some rough spots created by this irresponsible person. If you know who it is – please inform them that it is illegal – Snowmobiles are prohibited and that it is damage to a great resource for skiers and visitors to North Creek. Pic of trail damage from yesterday. This shuttle by the North Creek Business Alliance will run weekends, departing at 12:30PM. 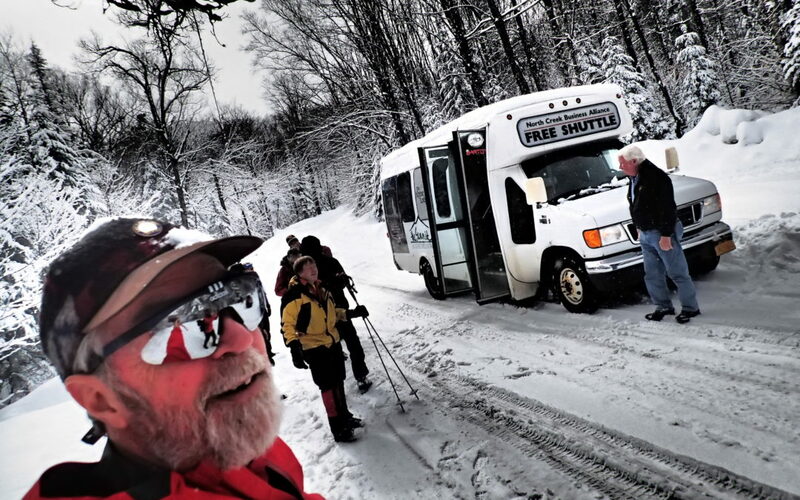 The Shuttle brings skiers up the Barton Road to The Raymond Brook Trailhead for a great backcountry (ungroomed) ski tour back to the North Creek Ski Bowl or the Rt. 28 trailhead. Backcountry ski equipment is recommended – metal edge cross country or telemark skis. There is some uphill sections so Alpine Skiing or Snowboarding is not appropriate. All skiers should have nowax skis, ski-skins, or grip wax to negotiate the uphill sections. Please, NO boot-packing!